This valuable investment in public infrastructure demanded a system which would provide complete accessibility across eight subway stations. We are more used to hearing about building access systems designed and manufactured to provide effective coverage at great heights for the world’s tallest buildings. An equally challenging prospect, however, is delivering practical, comprehensive and cost-effective access systems for modern, newly-built infrastructure located deep below the streets of some of the world’s oldest cities. A fascinating example of this kind of project can be found in the city of Amsterdam, where a long, rich history coexists alongside the demands of a vibrant, modern European capital. Amsterdam stands on long wooden beams dating from 1300AD which has made the construction of a much-needed underground rail transport system 25 metres under the damp soil an extremely difficult task. This vital transport link is part of the development of the city metro and was required to create a new transport link between north and south Amsterdam and relieve congestion in the inner city. 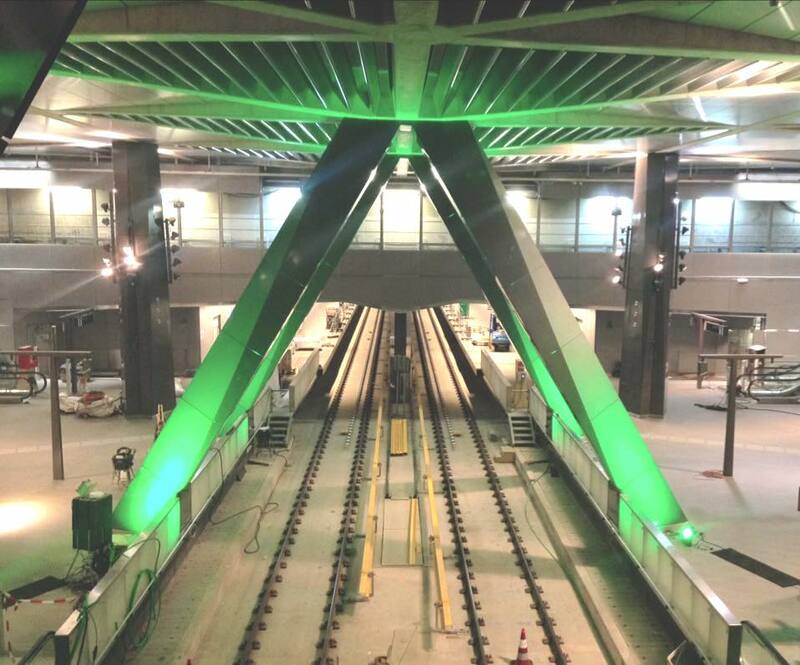 With eight stations on the new line, it is expected to serve 121,000 people each day. Only thanks to the most recent technology has it become possible to create tunnels in wet and unstable ground without creating overwhelmingly negative effects on the city above. 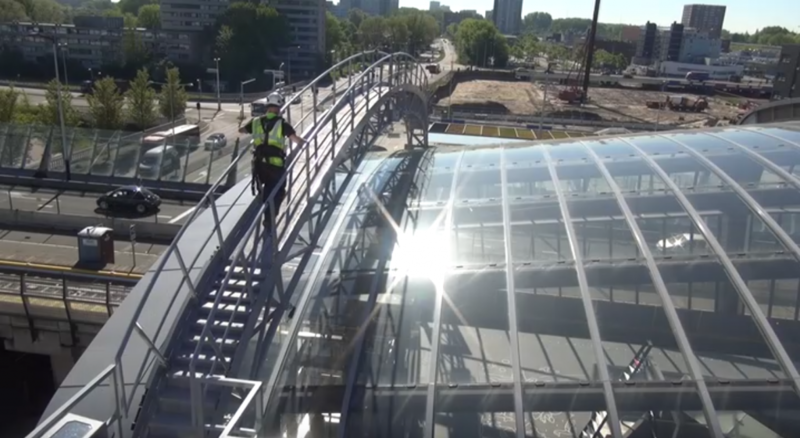 The new Noord/Zuidlijn (North/South train line) opened in July 2018 following approximately 15 years of construction. The challenges presented by working around the foundations of the old city and the difficulties of the environmental conditions means that each station design is unique, with the architecture being dictated by the profile of the specific location and the special limitations of the existing city plan. That being said, all eight stations were designed to achieve the same outcome in terms of providing the shortest possible connection between the underground platform and the street. This valuable investment in public infrastructure demanded a system which would provide complete accessibility for cleaning and repair work of all areas visible from public spaces across all eight subway stations. The bespoke solution Manntech provided meets these needs with eight full end-to-end facade access solutions tailored to serve the individual needs of each unique station, utilising a total of 35 maintenance units. Safety is always the most important consideration for any access system, and ensuring the safety of operators, staff and the commuters, both in public areas and on the train track itself, was paramount. The bespoke system also blends seamlessly with the distinct architecture of each station, with the Building Maintenance Units hidden from sight in parked position. From the tallest new skyscrapers to the earth beneath historic cities, and for every project in between, contact us to find out how Manntech can help with your access needs.